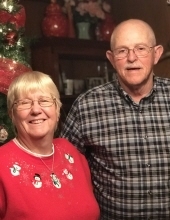 Clarence Blair, age 72, of Redfox, KY, passed away Sunday, January 13, 2019, at the Greg and Norene Wells Hospice Care Center in Hazard, KY. He was born Milan, Indiana on August 24, 1946 to Delbert Blair and Juanita Back Blair. Funeral services for Clarence Blair will be held at the Hindman Funeral Services Chapel, Wednesday, January 16, 2019 at 1:00PM with Don Pratt, Elwood Cornett, James Caudill and Willie Crase Jr. officiating. Burial will follow at the Noah Jent Cemetery at Redfox, KY. Visitation will be held at the Chapel, Tuesday evening after 6PM with additional services at 7PM. with Don Pratt, Elwood Cornett, James Caudill and Willie Crase Jr. officiating. "Email Address" would like to share the life celebration of Clarence Blair. Click on the "link" to go to share a favorite memory or leave a condolence message for the family.